Let’s be honest. It’s one of those things that isn’t easy. But that is what gives you the advantage. If it were easy, everyone would do it. No, effective content marketing that skyrockets your business takes some planning and a focus on execution. As someone who knows how challenging it can be to finish projects, I feel your pain. And now I want to make it easier for you to be successful. So in this, the first of a series of posts I want to share with you about content marketing, I want to point out some of the most common mistakes marketers make that torpedo their efforts. You don’t need to create content every day. Or perhaps even every week. The key is to create the most valuable, engaging, and inspiring content you can, that will GRAB your prospect’s attention. Then take that content and put it up everywhere. Blogposts. Social media. Slideshare. Videos. Talk about it on podcasts. 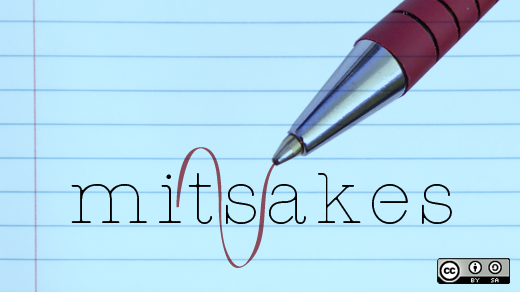 Find out what OTHER errors you might be making in your content strategy! Join us in EPIC Content Marketing PRO – just $12/month! – to learn how your content will help you gain greater Impact, Influence, and Income! A few people will say, “Hey, I’ve heard that before.” But so what? Did they really HEAR you when you said it/wrote it the first time? Did they DO anything with that information? It won’t hurt people to hear it or see it more than once, and it’s more likely going to make it stick better. Which makes you look good, when they follow your advice, remember that it came from you, and they get results. Content for the sake of content isn’t enough. While building credibility and authority through thought leadership posts is definitely a worthwhile goal, it’s not the only thing around which you should be creating content. Look, you are sharing something useful for your audience. It’s not free. They invest their time to consume it, and you are asking them to do something in return. It may not be giving you their email address (although it might be). It could be calling someone. Or leaving a comment. Or sharing the post. Or making a list. Ask them to do SOMETHING in response to your content. That is what “inspiring” content is all about. Inspiring action. Are you ready to be a Content Marketing Pro?? Get effective, efficient & attention-grabbing content marketing strategies that you can apply in your business TODAY for just $12/month! That’s 40 cents a day! Click here to join the pros! You can advertise in every piece you share. In fact, you should. But it doesn’t have to be “in your face”. It can be “seeding” your product or service (“When I work with clients I always tell them…”). Or if it is a blogpost, you absolutely can break up your text with relevant offers. Your content should be exposing a problem your audience has. If they want to solve that problem, you owe it to them to offer a solution. If they are invested in solving the problem, they will be happy to invest in your solution. You DO want to give great value. This builds the know/like/trust factor, which is crucial to building an audience. You want to tell people what their problem is and why they have it. And you can even give a high-level overview of what to do about it. But if they think that reading a few sentences is going to completely solve that problem? They are wrong. They need to invest in themselves at some level to solve that problem. If it’s with you, great. If it’s with someone else, then at least they are doing something about it. Back to “inspiring action”. Despite what people may tell you – because they wish it were true – SEO is not dead. You do need to write and produce content that will get you found online in an organic way. This involves keyword research, as well as a variety of other research methods. But you can’t just produce content for search engines or you won’t have an audience. They want to hear an authentic voice. They want to know that there is a real person behind the piece. Google spiders don’t care about that. They just care about keywords, backlinks, authority, etc. Your audience – real people – care that you are a real person. So be real. This is related to #5. It’s partly YOUR personality (or at least, that of your business) that people want to relate to. Think of LL Bean. Even though the company was started 100 years ago, the catalog still talks all about Leon Leonwood Bean, and how he stumbled into boots that kept his feet warm and dry. This company story is one that readers relate to, because who hasn’t wished they had warm, dry feet in winter?? And it’s also how you relate to THEM and their personality. What kind of people are your audience members? Young? Old? Male? Female? Speak to that person as if you are sitting down together in a room, having coffee or tea together. Truly effective content marketing can be the difference between having a successful online business, or one that just never takes off. 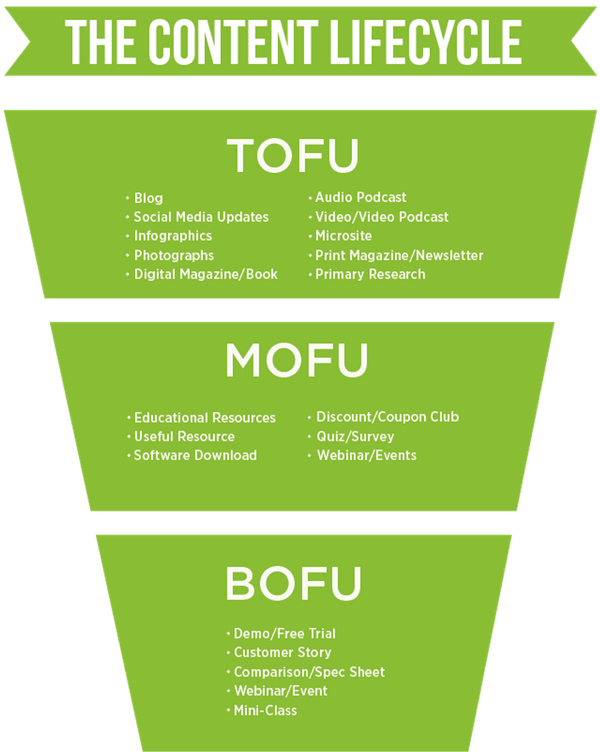 For only $12/month you can get the inside scoop on how to use content marketing effectively to drive qualified traffic and leads right into your marketing funnel! Join us here: EPIC Content Marketing PRO! Many people complain that content marketing is too difficult to measure. “How do you know if it’s working?” they ask. It’s a good question. Most books and articles written about content marketing insist it is a long-term investment. You commit to content marketing for the long haul. Expect it to take a year – at least – before you can see a return on a tremendous investment of time, money, and effort. Search Engine Optimization is a big part of this plan. And yes, there are plenty of companies who freely admit their success is based on that long view. Their whole-hearted commitment over several years has now brought them to a point where they are not only successful, but seen as thought leaders in their field, and they are generating great profits. I want to show you, however, that although it is important to look at a variety of standard metrics to determine how well your content marketing is “working”, there are some things marketers can now do to short-cut the process. Many people feel the only ROI that counts is an immediate sale. While sales are the END goal for all your marketing efforts – because that’s how you become profitable, after all – sometimes you will get a greater profit on the back end if you consider a few other ways to look at ROI. “Return on Investment” means acknowledging ALL the gains you make. All of these different gains ultimately lead to better, faster backend sales. Don’t discount their value just because you didn’t get as many frontend sales as you would have liked. Content Marketing isn’t just for the pros! Get the inside scoop on how to REALLY get an ROI on your content marketing! Let’s look first at standard metrics. These include such numbers as: the number of views your page or video receives; the number of downloads; and the number of social conversations taking place about your content. Do people take action after consuming the content? Do they come back for more? Tags and pixels will help you answer those questions. This is for social media posts and blog articles, primarily. Sharing includes such actions as: likes; shares; tweets; +1s (are people STILL using Google+?? ); and pins. You can also measure who is sending traffic to your blog by using online tools such as Google Analytics. How many people are completing your forms? How many people are subscribing to your list? How many people who land on your page are becoming leads? If you have low numbers for any of these metrics, you will want to evaluate your content for such things as how relevant, engaging, and inspiring it is! And of course you hope that many of your leads actually convert to sales. Measure this through online and offline sales, manual reporting, and customer retention. Don’t be surprised about measuring sales numbers under the content marketing umbrella. After all, the end goal of marketing is to bring about more sales! Remember also that only some of your content creation and marketing is focused on prospects. A lot of it should also be focused on nurturing current customers, so you maintain a relationship with them. Make sure you evaluate which of your channels performs really well, and which could use some work. This will help you decide if you are, for instance, using the right social media channels, or if the content on those channels is most relevant and engaging for your intended audience. These numbers are very important to know, in order to understand the lifecycle of your customer. When was the last time your customer made a purchase? How often does the average customer make a purchase? If you can increase your average lifetime customer value through engaging and inspiring content, you will save your company a lot of money on advertising to cold leads – people who don’t already know, like and trust you – and increase your revenue without a whole lot of extra effort. This is one of the most important numbers to calculate because once you know how much each customer is worth over time, you know how much you can spend to acquire a new customer without going negative. The quick and simple way to do it is to use an online calculator like this one. Keep track of these numbers in order to determine whether or not your content marketing is reaching your current customers! There are a lot of changes happening in the way marketers are allowed to advertise online. The rules are changing constantly and it is difficult to keep up. One thing that doesn’t seem to be changing, however, is that ad platforms like Facebook and Google allow you to advertise a piece of useful content. So this is the new way to use these ad platforms to your advantage. In fact, this is a huge gift from Facebook! We call it the “reverse squeeze”. Instead of asking your prospect to commit to you (by giving you their email address) before you give them anything really useful, you commit to them first by giving them content without asking for anything in return. If they like it, THEN they can choose to get the next piece of content by opting in. The really interesting part though, is that you don’t really even NEED their email address. Thanks to the retargeting pixel, you don’t even need their email address. Of course, if they give it to you, that is better than retargeting them with more ads. Once you can get into their email inbox it is much easier to nurture a relationship with your audience. But if they follow your ad to a piece of content, it’s like they are on a list of another type; you can now retarget them for future ads and more content. Creating great content and posting it to various online platforms doesn’t have to be the end of your content marketing plan. However, we only just barely began to dive into the possibilities for truly epic content marketing! It sounds so simple, and yet, because of constantly changing markets and platforms, there is always something new to learn. If you don’t stay on top of what is happening now, you will lose out on a big share of your potential customers. But you don’t have to do this alone. Here at Winning Content Strategy, we are experts in keeping up with the latest content marketing trends. You have your business to run! You can’t possibly be an expert in everything. Let us give you some shortcuts to market your business efficiently and effectively. Are you ready to dominate your market and take over your corner of the world? Then please CLICK HERE to join us in the Epic Content Marketing Formula Club! In the old days, before GPS, when you wanted to get someplace, you had to take out a paper map and plan your route. You couldn’t just turn on a little computer, drive out of your driveway, and start following instructions from a disembodied voice (in our family, we call her Millie). No, there was a time when you had to actually plan ahead if you wanted to reach your destination! Running a profitable business will ALWAYS require some sort of map. You always need to make a plan before you start out. In the first step of the EPIC Content Marketing Formula we laid the foundation for what content marketing is and why it is important. That was E, the Essentials. In this, the second step of the formula, P is Plan. You have to plan your process – map out where you are going and how you are getting there – in order to reach your goal: profitability. Keep this simple. You can put it all in one page if you would like. Here are more details on several of these steps. Once you know your desired destination, you can begin to identify different routes you can take to get there. But each route contains a lot of variables. For instance, your fastest route to visit your friend might be on the highway. But if it is a Friday evening right after work in the summer, you might encounter a lot of beach traffic along the way, which would slow you down. Or if you have to run an errand at the grocery store on the way, you might need to take a slightly different route. It’s not a perfect analogy, but you could almost think of your end destination as your goal, and these sorts of variables as your objectives. Do you want to get to the goal quickly, at a – perhaps – greater short-term expense? Do you want work with an affiliate, and split the route to the goal? If you aren’t crystal clear on your goal, you won’t be able to make informed decisions about the options you can encounter on the way. Your next step is to understand the audience who will make up your target market. What are their beliefs that prevent them from solving those problems? What is their life like, because of those problems? What do they really and truly want to have happen that would make their lives better? First ask yourself these questions generally in order to identify a community of people whom you can serve. Then get to know that audience much more intimately. Learn where those people hang out, especially online, and hang out there too. Forums and social media groups are a great place to start. Identify what they read – online and off – and become familiar with that material. If possible, don’t just limit yourself to online gathering places. Attend live events where they hang out too. Within this targeted community, it is likely you will find several different types of people whom you would like to serve. Really zero in on who those people are and create personas for them. Jill, age 34. Up-and-coming business executive. Has an active social life, recently married. Worried about her biological clock that is ticking and making sure she remains healthy enough to be able to have children. Sheila, age 41, mother of three. Works part-time as an office manager for a local dentist and spends her afternoons running kids around to their activities. She feels frazzled and as if she has no time to take care of herself. Liz, age 49, stay-at-home mother of two. She is just starting menopause and is feeling kind of yucky about herself. Her doctor has told her she needs to lose around 25 pounds so she can avoid such ailments as diabetes. Each of these personas can be filled out in much greater detail – and should be, actually. Clarify as much as you can about their questions, their struggles, their lives at home and at work. Go back and look at the questions above and expand on them for each persona. Once you know your audience, you need to position your message so your prospect is most likely to notice it and engage with it. The problem is that various members of your target market will not all be at the same level of problem awareness. Level 1 – Most aware: Your prospect knows your product and only needs to be made aware of your offer. Level 2 – Product-aware: Your prospect knows what you sell, but isn’t sure it’s right for him. Level 3 – Solution-aware: Your prospect knows the result he wants, but not that you product provides it. Level 4 – Problem-aware: Your prospect senses he has a problem, but doesn’t know there is a solution. Level 5 – Completely unaware: No knowledge of any problem. As you can see, your marketing will be determined by where your prospect is located on this awareness scale. Someone who isn’t even aware of a problem is not going to be very open to buying your solution. On the other hand, someone who knows they have a problem and is simply unaware of YOUR solution will need to be exposed to a different type of marketing message. They need to move along in their decision-making process from unconscious –> aware –> considering –> deciding. You can’t help them progress in this buying journey unless you know where they are starting. Another key component of your content marketing strategy is to plan for escalating your audience. Compare it to meeting someone whom you end up marrying. Before you know each other you are strangers. After they know and like you, they become your “friend”. When they trust you enough to buy something from you, they are a “fan”. A great example of a company that has created an Alpha Audience is Apple. Their raving fans stand in line for hours to buy the next greatest product and many of them have disdain for anyone who doesn’t toe the Apple line! Wouldn’t we all like to have fans like that! Your content marketing goals should include something about how to build and keep your Alpha Audience. Because if you don’t have a plan to escalate your audience, you just don’t have a plan. How do you do this? By becoming absolutely indispensable to them. You want to create not just desire, but longing, in their minds, so they are looking forward to hearing from you. You need to create content so you become part of their daily lives. Again, think Apple. Most companies have a mission statement. School districts and non-profits have mission statements. And as a parent coach, I even encourage families to develop mission statements. So you also need a mission statement for your content marketing. Too many times companies spend a lot of time developing mission statements that end up sitting on a poster on a wall, and not as part of the daily decisions that run the company. Don’t let that happen to you. When done right, it helps you create clarity and focus when things start to get busy and confusing. When you know your content mission inside and out, it becomes easy to make decisions. This is simple, yet extremely clear, concise and actionable. You know exactly what they offer, to whom, and what they can expect to get out of their interaction with Inc.com’s content. Any time Inc.com has a decision to make about their goals and how to achieve them, this statement helps keep the focus on the end game. That is the purpose of a mission statement. You are absolutely clear on whom you serve, how you serve them, and what outcome you expect to help them reach. If you are providing content that doesn’t match your mission, you are off-base, and likely helping neither yourself nor your audience as well as you could be. Finally, your content marketing process needs to have a plan for the maturity of your content. When you are relatively new at intentional content marketing, it may take a while to get good at it. It may take some trial and error to figure out who is responsible for which aspects of the content marketing program and which metrics are most meaningful for you to follow. And sometimes, it can take a while to get the company decision-makers on board. As your content marketing escalates from “ad hoc” to “rudimentary” to “organized and repeatable” to “managed and sustainable” and finally to “optimized”, it will take some advance planning. So know where you are on the scale right now – honestly – and identify the processes you need to put in place to move to the next level. Another consideration is the type of content you provide. If you don’t want to be seen as just another player in a crowded market, identify a unique position that helps you stand out. You want to be a thought leader – the person others turn to for ideas and advice – and stay on the cutting edge of innovation in your industry. Create content that tells this story and that drives where your market goes. 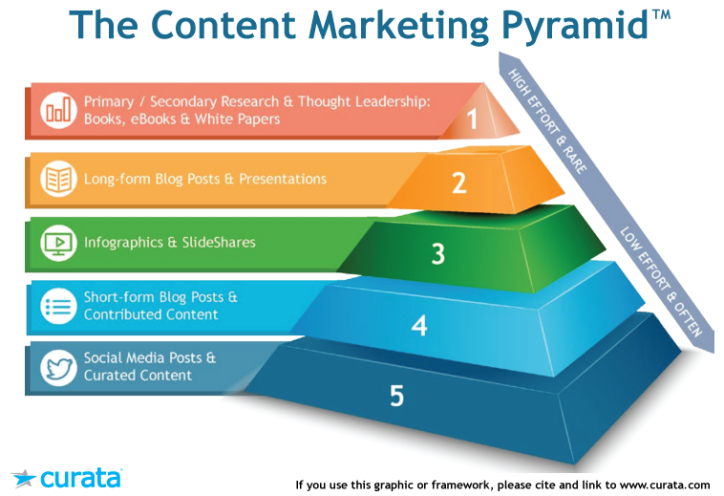 This is the P (Plan) part of the EPIC Content Marketing Formula. — You really have to know your audience, and this is the place to start. First identify a community of people whom you will serve, then drill down to create several different personas within this community, so you can clarify their needs. — Plan for how to escalate your audience from hardly knowing you exist to raving fans. — Begin to craft different messages for your prospects, based on where they are in the level of awareness of their problem (that you solve). — Create a content mission statement, incorporating whom you serve, what you deliver, and the outcome they can expect. — Plan to increase the maturity of your content so you move from simple ad hoc content creation without a unique message, to systematic, optimized content that leads your market. Decades ago, if you ran a business and wanted to capture your prospects’ attention, you used newspapers and magazines as your primary marketing platforms. If you were a business owner in those days, most of the time all you needed was an ad with a great picture of your product and an interesting headline message, and you could sell hundreds of units. Everyone did that. And it usually worked. But then the internet was born. And everything changed. Instead of a couple of magazines and the daily newspaper, suddenly people were swamped with more information and more advertising messages than they could process. And it wasn’t long before the majority of online ads all started to sound the same. When the market stopped believing everything they heard and read, marketers needed to become more sophisticated and offer something unique. Messages that used to be compelling enough to make sales stopped working. No longer was it simply enough just to tell people that you have a solution to their problem and they would come running. No longer would cute pictures and a great headline be enough to keep your business afloat (although, for some reason, cats and puppies still grab a lot of attention!). Marketers realized they needed to start doing something different if they wanted to turn prospects into new customers, and new customers into loyal fans. Through trial and error, marketers realized they actually had to educate their prospects about all aspects of their problem. Why they had it, what mistakes they were making to solve it on their own, and what they could do about it. This process of educating prospects is only possible when you build a relationship with them. It can’t be an artificial relationship though. Most people can smell that a mile away. And you can’t just ask them to buy your stuff all the time. That turns people off. No, to develop a relationship with someone, you have to earn their trust. And trust is borne out of repeated interactions. In other words, that person has to know you. And once they know you, they have to like you well enough to keep coming back. How does someone get to know you and like you, not just in business, but in any situation? Through sharing information about yourself. And trust, the next level, comes when you actually help them with something. As you build your business, it is important to remember that your prospect isn’t just a “prospect” or a “lead”. There is a real person on the other side of that number. And that real person has real-life issues. People who depend on them, and events and circumstances that make them happy and sad, worried and hopeful. If you, as a marketer and business owner, always approach your marketing with this in mind, it becomes easy to figure out how to build that relationship. For a long time, marketers have talked about “the four Ps” of marketing: price, product, promotion, and place. How to promote the right product in the right place at the right price. I suggest that the only way to build the kind of relationship you want with your prospect, you need a 5th P: Personal. Your marketing message must be personal – specific – for your prospect and your customer. You must know your audience well enough to know a lot about them and what they are looking for. You have to be able to answer their questions and assuage their fears. And it has to be personal, about you (your brand; your company). People like to know they aren’t the only ones who have challenges in life. Share yours. When your prospects and customers see themselves in your story, it helps take down the barriers that might otherwise obstruct their ability to trust you enough to buy your solution. Share your stories – and get personal – through content. Use text, video, and other media to create a connection between you (your company) and the real person who is your “lead” or “customer”. When you use content to educate, entertain, or otherwise create a connection between your business and your prospect’s concerns, and you make it profitable for both of you, that is content marketing. Content Marketing is THE way to connect with your audience and grow your business! All the changes in what is “allowable” in ads has made content KING! Great stories are the key to both great content and great content marketing. Truth be told, content marketing has actually been around for a long time and was used by some of the best marketers very early on. But it has become an absolutely necessary tool for any business to be successful in the 21st century. The word “content” means both communication and information. As with a poorly-written term paper the content could be simply fluff and filler. Alternatively, it could be really valuable information. Really great content can even be transformative for the viewer, listener, or reader. Of course, there are many different ways of telling your story and communicating both your message and the useful information. You can write it in text, show it in video or other visuals, explain it in audio, or even create an experience through interactive media and platforms. But if you don’t want to lose your audience, the most important thing to do is to make it relevant, engaging, valuable and inspiring. What makes content both relevant and engaging is the story. Both your customer’s story and your own / business’ story. Your prospect must see themselves in the story in some way. Whether you tell your own personal story, or your customers’ success stories, or the story of your business, your prospect will only continue to give you attention if they feel there is something in it for them. And that something is based on a feeling. Either a feeling of desire, or a feeling of fear (usually, a fear of loss). If your story does not elicit one or both of these feelings you will lose that prospect. It follows that if your prospect feels the content is relevant to them, they will be engaged. If you tell the story well, they will not only want to know “what happens next”, they will want to be part of that story themselves. Now you have real engagement! Simply put, valuable content is when you educate your prospect on something important to them. 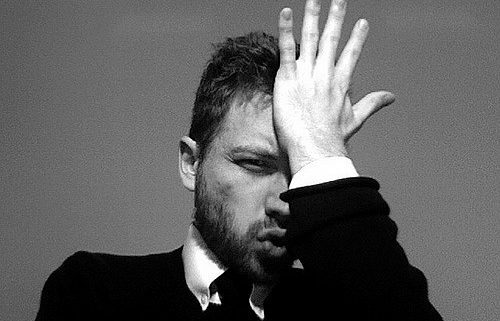 So ask yourself, What can I share that will get this reaction from my prospect? How can I educate them in a relevant, engaging, inspiring way? Anything and everything you share with your prospect must inspire them to take some sort of action. Ideally, it will inspire them to purchase your product or service! But if they aren’t ready to do that right away, at the very least, you hope they will be inspired to do something to make their life better in some way. When they use your information to create a better life for themselves, they will like you, and you begin to earn their trust. They will come back for more, and as they get to know you, most will eventually buy from you. By inspiring action, you create a win-win for both of you. Many business people wonder why they should engage in distributing content marketing now. After all, it takes a lot of time to produce, it’s difficult to measure the impact, and it is challenging to hit just the right combination of personal, relevant, engaging, valuable, and inspiring educational information that actually captures – no, GRABS! – attention! Wow! That does sound like a lot of work! Increase business from existing customers. Content marketing is the best way to do both of those things. By including educational, valuable content in all your marketing and sales campaigns you end up with a lot of extra benefits. Content marketing leads to greater customer acquisition. It is well known that those who – for instance – blog more frequently, get more customers than those who blog less often. “More frequently” means blogging (or creating YouTube videos, or Instagram photos, etc.) regularly and consistently, and “how often” depends on both the platform and the audience. In social media platforms you will likely want to create content close to – or even more often than – every day. On the other hand, two to eight content-rich, valuable blogposts a month may be perfect. Content marketing allows you to determine customer interest on different aspects of your business based on how much they engage with your content. This is easy to determine when you have the internet to track these sorts of metrics. Once you know what really resonates best with your audience, you can give them more of the same, occasionally testing out new topics. Finally, content marketing makes it much easier to slide your prospect through your campaign as you give additional content on the information of interest to the prospect. This campaign could be an automated email sequence, or a consistent, fresh email broadcast. Your campaign could be a funnel, leading from something free to a “tripwire” (I prefer the term “welcome mat”), to a smaller-priced item, to gradually higher-priced products and services. Or your campaign could be a 3- or 4-part video series. You will need to test out different types of marketing campaigns to determine which one(s) work best with your audience. And throughout each type, continuing to provide great content will keep your prospect’s attention, and keep them coming back for more! Let’s take a moment to review. — Content marketing is a long-term strategy to develop and share relevant, valuable, engaging, and inspiring content to a target audience, with the goals of acquiring new customers and increasing business from existing customers. — Content marketing builds business by providing content that is educational, and that GRABS ATTENTION from a target market of real people with real problems. — These real people need to know, like and trust you before they will pull out their wallets and give you money to solve their problems. The content you give them helps build that trust. — The internet makes it easy to share lots of content, but your content message needs to be more sophisticated and unique to stand out from the deluge of other readily-available information. Many marketers feel that creating content to give away is a waste of time and resources. As I hope you now see, that is simply not the case, especially in today’s information-rich world. Content marketing fits right into everything else we expect from being part of an internet-obsessed society. If you aren’t creating valuable content, you will be left behind. Other marketers make the mistake of throwing out as much content as they can, hoping that something will “stick to the wall” and bring them attention. This almost never works. It’s not quantity of content, it’s quality and relevance that count. Instead, following a systematic process will help you create content that grabs the attention of your target market, and convert them into customers. Based on my own years of creating content, tons of research, and lots of trial and error, I have created the EPIC Content Marketing Formula that really works. This article that you have just read is the E part of the formula, Essentials. You are invited to check out the other articles in this series to learn more about Plan, Implementation, and Conversion. We started with the Essentials because we needed to lay the foundation for WHAT content marketing is and WHY it is critical to the success of any business today. The Plan part of the formula walks you through all of the considerations you need to take into account as you are getting started. Implementation introduces you to both the strategies and the tactics that actually make content marketing work for you and your business. And Conversion is where you can account for and measure the cash part of your business. Because without money coming in, you don’t have a business, do you? If you are ready to dive into the EPIC Content Marketing Formula more deeply, you are invited to join our EPIC Content Marketing group. Click here to learn more and see if it is right for you.